Although the purpose of shelving is clear, the creative options for these are limitless! Considerations for shelving should begin with what they will be used to house. If you are installing pantry shelving you should take your largest cereal boxes, cookery books, pans and other items to ensure shelf height is determined correctly. Conversely if your pantry shelf is housing small herbs and spices jars, consider shelving at half the height in certain areas to conserve space. 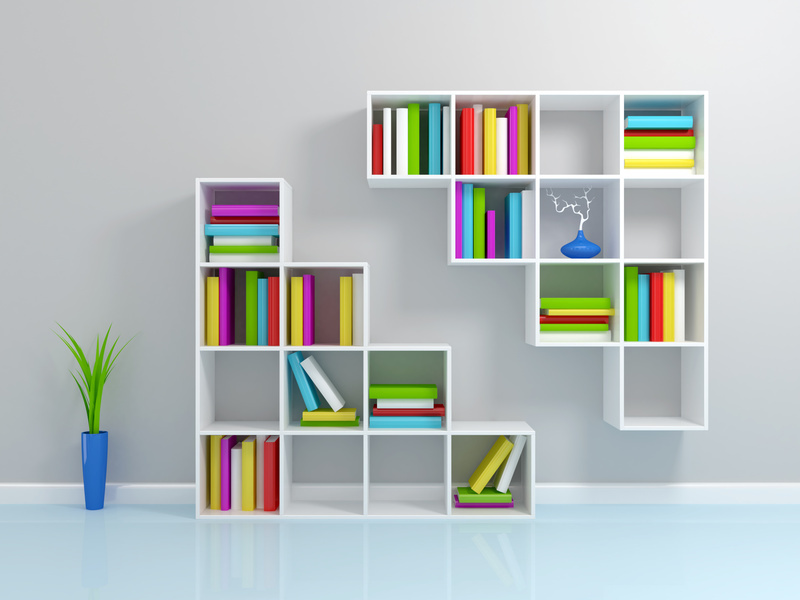 For living room or study shelving, large books and ornamental collections should be measured. If audio/visual equipment is to be housed, it is prudent to allocate space for ever changing technology. For example, if you have been subscribing to traditional cable services and are considering changing to enhanced digital services, extra components will need to be housed. As technology continues to change it is wise to keep a little extra space available for your shelving to grow with it. Young children will grow into techno-loving teenagers, in which case it is possible that gaming systems will need to be housed at some point! Once the basic needs of the shelving are established it is time to get creative! For ornamental purposes in a modern space, clean and crisp floating shelves are a popular option. These are exactly as they sound with no visible supports or hardware. In traditional homes wood is desirable, giving a sense of opulence and heritage. Don’t let convention guide you to a finished design. Much like your taste in furniture and art, your shelving has the ability to reflect your style!